Minnie is using Smore newsletters to spread the word online. Why did I choose this element? I chose this element out of random. Although, after researching a bit about it, I found that it had some interesting facts. Terbium is a rare, silvery metal and is used in alloys and in the production of electronic devices but otherwise, rarely used. It is also soft enough to be cut with a knife. How did the Terbium get its name? Does it match up its abbreviation? Terbium got its name from Ytterby, which is a town in Sweden where Carl Mosander had lived in, in 1843. He detected it as an impurity in yttria which is yttrium oxide, Y2O3. And yes, it does match up to its abbreviation. What are the properties/characteristics of this element? What is it like at room temperature? 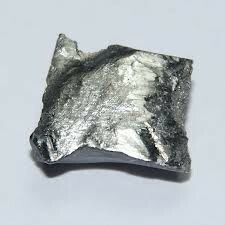 Terbium is a soft, malleable, ductile, silver-gray metal member of the lanthanide group of the periodic table. It is stable in air, but is slowly oxidized by air at room temperature and cold water. Why is it important to preserve or to keep creating this element? What is it used for? It is important to preserve terbium because of increasing importance to the industries that are driving economic growth in the developed countries of the world. The increasing importance being the demands companies are making to have terbium in their electronic devices such as tablets, smartphones, and other indicators of modernity. Name one or two things that you found unusual about this element. 1. Terbium oxide is used in green phosphors in fluorescent lamps and color TV tubes. 2. The most effective method used for separation of terbium metal or salt from its minerals is ion exchange.